For Dana Rettke, hard work, teamwork and having fun are the keys to success. 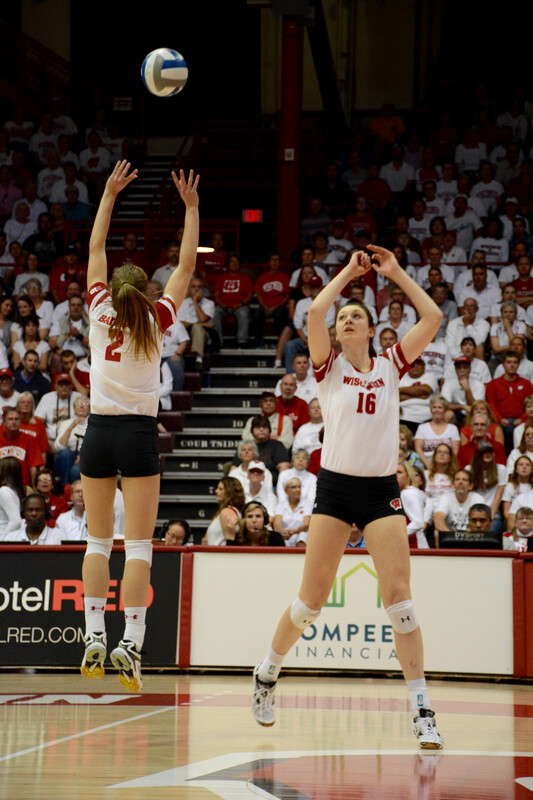 A freshman on Wisconsin’s volleyball team, Rettke has taken the volleyball world by storm. A native of Riverside, Illinois, Rettke did not start playing volleyball until her freshman year of high school. She was named No.8 on the Senior Aces list her senior year of high school, and since beginning college, has received nine Big Ten Freshman of the Week awards and two Player of the Week awards in Big Ten play. When her high school volleyball season ended, Rettke was ready to be a Badger. She graduated early, and enrolled at the university in the spring so she could get more experience and start building a relationship with fellow early enrollee and setter, Sydney Hilley. When Rettke arrived in Madison, she was not sure how much of an impact she was going to have this season on the court. Since arriving, she had been growing as a player every week and by the time the fall came around, she earned a spot in the starting lineup, and quickly started to make a name for herself. Thus far, Rettke as proven herself to be one of the best middle blockers in the conference, and has made her case to receive Big Ten Freshman of the year. However, Rettke did not expect to receive all of this recognition. Rettke is a team player that wants to improve to not only help her team in any way she can, but also wants to leave her own individual mark on the Wisconsin program. She is filling a space left by four-year starter Haleigh Nelson. In 2015, her junior season, Nelson had the highest hitting percentage in program history with .422, but Rettke is on track to pass that record this year by hitting .445 through Big Ten play. All the acknowledgements and success have just motived her more. She knows that other teams are watching her, but she’s willing to put in the effort to elevate her game to the next level. For Rettke, getting to the gym and practicing is fun. She loves seeing the results that all of her hard work have earned her as the season continues to progress. Rettke is not worried about hitting her volleyball ceiling any time soon. She believes that as long as she is working hard, she has more space to improve. Rettke has high expectations for herself, and puts a lot of pressure on herself to keep improving and helping her team. Hopefully Rettke can continue making strides as a player as the NCAA tournament begins. The Badgers failed rank in the top 16, so they will be traveling to Iowa State to take on Marquette in the first round on Friday, and hopefully the winner of the Iowa State game and Princeton on Saturday. Mentally, Rettke seems prepared and warns against counting the Badgers out from making a run for the National Championship. She knows that this is a close knit team who will do anything to help each other succeed, especially during such a crucial time of the year. At the end of the day, Rettke wants to walk out of her freshman year a national champion. If Rettke has any say, the Badgers are going to put up a fight. They went 10-0 in their non-conference season, but have faced adversity since then. 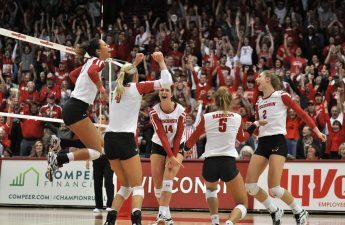 Wisconsin dropped their first match of the Big Ten season to an experienced Michigan State team in five sets. The Big Ten is the strongest conference and every night is a battle, as proven by Wisconsin’s conference record. 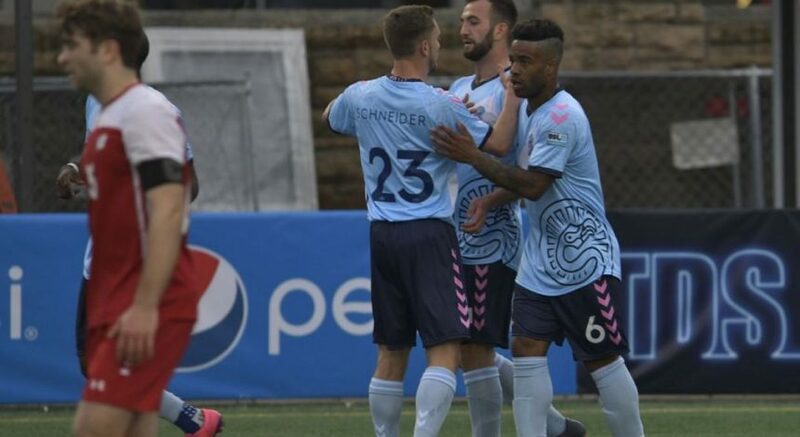 They have played in four matches that have gone to five sets and played ten top 25 teams. In the Big Ten, players need to focus on the match in front of them, not matches in the future. The Badgers rigorous schedule during the Big Ten will only help them in the NCAA tournament where grit and focus are imperative to surviving and advancing. At the end of the day, Dana Rettke is just trying to enjoy her time in Wisconsin’s volleyball program while achieving personal and team goals. She knows what she is capable of, and wants to do everything she can to help her team succeed. She’s a hardworking individual that appreciates the game and her team’s success.